After securing an early lead, Manchester United were clever with their use of the ball. They changed the tempo of the game as per their requirement and never allowed Leicester to take control of the game. They slowed down whenever Leicester grew in stature and immediately transformed to fast counter attacking playing whenever the home team threw bodies forward. This ensured that Leicester never quite dictated the play and the lead was intact in the first half. After the break, the home side came out stronger and threatened to score. They had a strong first 10 minutes, but United held on and stayed compact. The away side continued to set the tempo of the game and managed to stay in control. 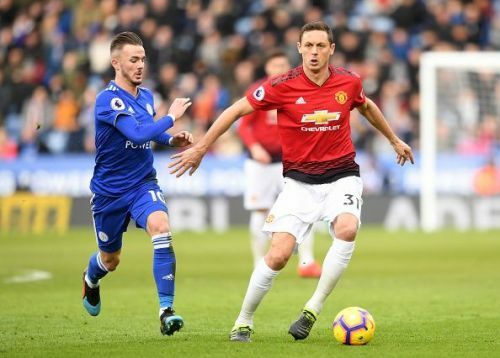 Solskjaer made a couple of attacking changes, but Leicester kept piling on the pressure on United. By the end of the second half, Solskjaer was riding his luck on a couple of occasions. However, in the end, it was enough to see United through, as Solskjaer's team earned a hard-fought 3 points.